"Just because the microphone in front of you amplifies your voice around the world is no reason to think we have any more wisdom than we had when our voices could reach only from one end of the bar to the other." Chris was featured in a recent issue of Gaston Alive magazine. The article offers some thoughts on "working with musicians, playing jazz, and earplugs," compiled by journalist Ben Dungan. You can read the article here. Chris also appeared on Jay Garrigan's Pedal Blog website. Jay talked with Chris about his pedal usage as a non-guitarist recording engineer and about specific guitar-related recording techniques. Chris' jazz trio, Big Octave (featuring John Alexander and Ron Brendle) performs every Thursday night from 8-11pm in uptown Charlotte at Blue Restaurant And Bar (in the Hearst Tower) at the corner of 5th Street and College Street. 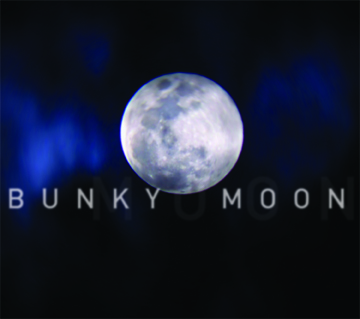 Chris' instrumental rock band Bunky Moon is currently working on their second album for LoNote Records. The band (also featuring bassist Ron Brendle and guitarist Troy Conn) is recording new material at Old House Studio in Gastonia, NC with Chris and Daniel Grimmett engineering. Columbia, SC-based indie-rock band Lunch Money recently returned to Charlotte to work with Chris again on a single commissioned by the South Carolina Public Library System. The single tackled the subject of saving money and was written and recorded by the band at their own home studio in Columbia, SC. The band brought the material to Chris to mix at Old House Studio. Former Gong and Gongzilla guitarist Bon Lozaga recently returned to Old House Studio to work with Chris on a recording for his new band, Tiny Boxes. The four-piece ensemble is working on an initial EP release with plans for a full-length later in the year. Saxophonist Greg Jarrell recently recorded a live-to-two-track jazz quartet album with Chris at Old House Studio. The recording featured pianist Chad Lawson, bassist Elisa Pruett, and drummer Brian Sullivan. The group performed five jazz standards, arranged by Jarrell, completely live with no overdubs or "fixes," and mixed on the fly while it was recorded. Bravo! Chris recently traveled to the beautiful NC mountains to play drums on an upcoming release for folk legend Si Kahn. The recording session was produced and engineered by bluegrass great Jens Kruger at his private studio near Wilkesboro, NC. Chris played drums and percussion on eleven songs for the album, entitled Bristol Bay, which is slated for a fall 2012 release. Charlotte-based rock quartet Analog Daze recently enlisted Chris to mix a new three-song demo of original material recorded by the band's guitarist, Craig Hanks. Chris mixed the project at Old House Studio in Gastonia. Classical tenor vocalist Tom Tollerton recently recorded a new demo with Chris at Old House Studio. Southern rock/country band the Tater Family Travelling Circus recently completed a new album of original material with Chris at Old House Studio in Gastonia, NC. The four-piece band features a few former members of Shelby-based rock band Tater and includes vocalist/guitarist Luke Edwards (of Mercury recording artists, Animal Bag), drummer Corbett Richards, bassist Jonathan Bowling, and multi-instrumentalist, Ashley Conine. 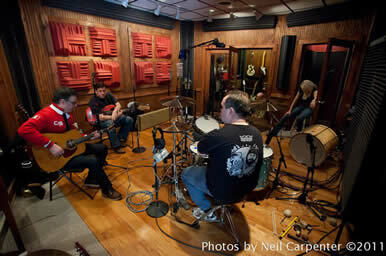 Charlotte-based fusion band Actual Proof recently returned to Old House Studio in Gastonia to work on their second album with Chris engineering. In addition to band members mallet player Eric Mullis, drummer Scott Brower, bassist Philip Berkley, and keyboardist Johnny Abraham, the eight song album features a rotating cast of guest guitarists including Dustin Hofsess, Andre Ferreri, Chad Thompson, and Greg Dalton. Guitarist Clint Presley is currently working on an album of new original material with Chris playing drums and engineering at Old House Studio. The jazz/blues/fusion-esque project also features bassist Philip Berkley. Folk music legend Si Kahn recently teamed up with Chris again to work on some recordings for the musical Silver Spoon, written by Kahn and Amy Merrill. Silver Spoon premiered at The Nora Theatre Company in Cambridge, MA in May 2011. Chris traveled to Acton, Massachusetts to record the ensemble at Wellspring Sound Studios with director Danny Gidron and musical director Rodney Bush. Additional overdubs and mixing for the project were done at Old House Studio in Gastonia, NC. Blues/rock guitarist Joe Whelan is currently working on a new recording project with Chris at Old House Studio in Gastonia, NC. Whelan is recording both covers and original material with his brother, Chris Whelan, on vocals and harmonica, David "DK" Kim on drums, Brent Dunn on bass, and Jason Atkins on keyboards. Singer/songwriter Brian Doyle recently completed work on his long-awaited new album with Chris at Old House Studio. The album features several of Doyle's long time band mates, including drummers Greg Lisi and Curtis Wingfield, guitarists Dan Hood and Les Moore, bassist Steve Green, keyboardist Scott Dailey, cellist Tanja Bechler, and pedal steel player Bob Barone. The album features new original material and one surprising cover tune and was mastered by Scott Craggs at Old Colony Mastering in Boston, MA. Guitarist Bon Lozaga (Gongzilla, Gong, Mike Oldfield) is also currently working on a new solo album with Chris engineering. This new record comes on the heels of the release of the recent Gongzilla album, Five Even on LoLo Records, which was also recorded by Chris. Bon, along with drummer Donnie Futrell and bassist Anthony Goodwyn traveled to Old House Studio in Gastonia to work on the project. The album features several guest artists as well, including Kofi Burbridge (Derek Trucks, Aquarium Rescue Unit) on organ, Chuck Garvey (moe) on guitar, and Joel Cummins (Umphrey's McGee) on keyboards. Congratulations to Bon, also, on his feature in the December 2010 issue of Guitar Player magazine. Chris has also recently worked on projects that include studio recordings for Winston Salem-based hard rock band Walking The Red, Southern rock/pop band Idlewilde South, Gastonia-based top 40/rock band Glory Daze, free/avant garde bassist/composer John Shaughnessy, rock bands Fault Union, The Jagged Knives, Crawfish, and A Town Called Robot, and singer/songwriters Early Ray and Russell Howard, and live recordings for classical vocalist Martha Bartz and Chapel Hill power pop legends, The Popes. 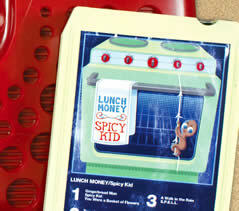 Congratulations to Columbia, SC-based band Lunch Money on the release of their fourth album, Spicy Kid. The band writes and performs "Indie Rock for kids and adults," and Spicy Kid is currently available on Squirrel Mechanic Records. 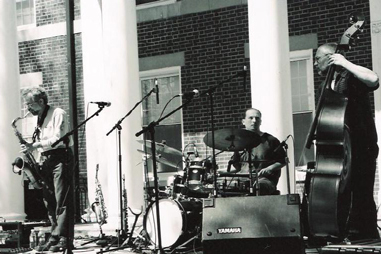 As with their third album, Original Friend, the band recorded at their own home studio in Columbia, SC before bringing the material to Chris to mix at Old House Studio in Gastonia, NC. Their last album, Original Friend (also mixed by Chris), made it to the 2011 Grammy Awards consideration list. The new album was mastered by Dave Harris at Studio B Mastering in Charlotte. 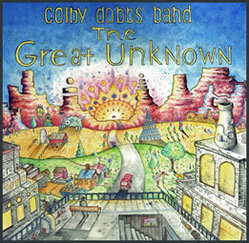 Congratulations to funk/pop act Colby Dobbs Band on the release of their new album, The Great Unknown. Colby and the band enlisted Chris for some recording work on the album at Old House Studio. The group initially recorded lead vocal overdubs on existing track before tracking several songs start-to-finish with Garges. The group mixed the record at their home studio and mastered with Dave Harris at Studio B Mastering in Charlotte. Chris' instrumental rock band Bunky Moon has officially released their new 11-song debut album entitled Schtuff We Like on LoNote Records. The band (also featuring bassist Ron Brendle and guitarist Troy Conn) recorded a combination of original compositions and classic cover tunes at Old House Studio in Gastonia, NC (with Daniel Grimmett assisting) before taking the tracks to engineer/producer extraordinaire Mitch Easter to mix at his own Fidelitorium Recording in Kernersville, NC. The album was mastered by Scott Craggs at Old Colony Mastering in Boston, MA. Schtuff We Like is available at most major online distributors, including BandCamp (where high-resolution audio files, mp3s, FLACs, and official physical CDs are available). You can read Jeff Hahne's review in Creative Loafing Charlotte here. Read Jeff O-Kelley's All Access Blog Review here. 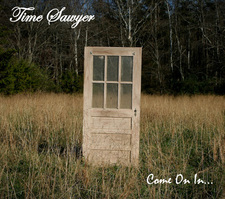 Congratulations to folk/rock band Time Sawyer on the release of their new album, Come On In... The four-piece ensemble recently returned to Old House Studio to work with Chris on their third recording project together in the last year. (Man, these guys are truly prolific!). The album features eight original songs and was mastered by Scott Craggs at Old Colony Mastering in Boston, MA. 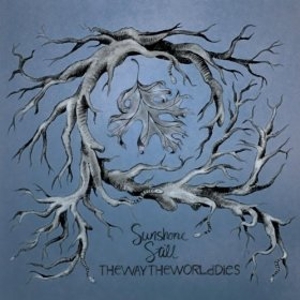 Congratulations to Indie/Americana artist Sunshone Still on the release of his third album, TheWayTheWorldDies. This album marks the fifth recording project for singer/songwriter Chris Smith and engineer Chris Garges and the third under the Sunshone Still name. The new, full-length album features guitarists Jason Hausman and the late Rodney Lanier, bassist Flavio Mangione, and drummer Stowe Barber. Special guests included vocalist Danielle Howle, trumpet player Matt Postle, and rapper Dre Rock. Garges also played percussion and Hammond organ. The album was recorded and mixed at Old House Studio in Gastonia, NC and mastered by Scott Craggs at Old Colony Mastering in Boston, MA. 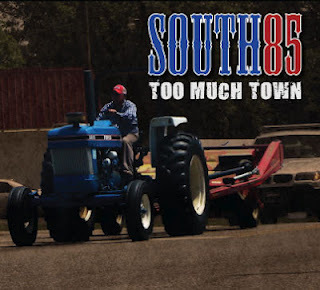 Congratulations to Charlotte area southern rock band South 85 on the release of their newest album, Too Much Town. Garges recorded the album at Old House Studio with producer Eric "Roscoe" Ambel (Steve Earle, Joan Jett, The Bottlerockets, The Del-Lords). Ambel mixed the record at his own Cowboy Technical Services studio in Brooklyn, NY with engineer Tim Hatfield. 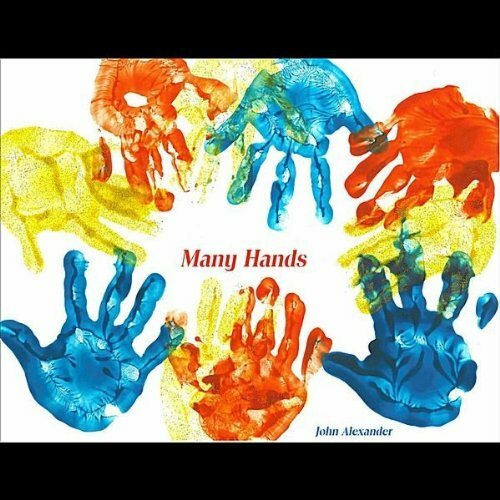 Congratulations to Gastonia, NC-based saxophonist John Alexander on the release of his new recording of funk and Latin-oriented original compositions entitled Many Hands. Chris played drums and engineered the sessions, which also feature keyboardist Gary Marcus, guitarist Troy Conn, and bassist Gerard Benson. Daniel Grimmett and Brandon Nater assisted the sessions at Old House Studio in Gastonia, NC. The album was mastered by Scott Craggs at Old Colony Mastering in Boston, MA. 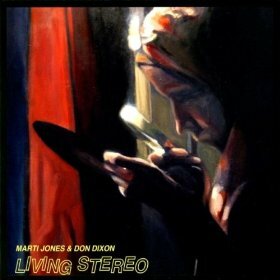 Congratulations to Don Dixon and Marti Jones on the release of their new album, Living Stereo on D.A.R. Records. The ten-song album features fantastic duets between the two and Chris is the drummer on the song "Walk Outside." 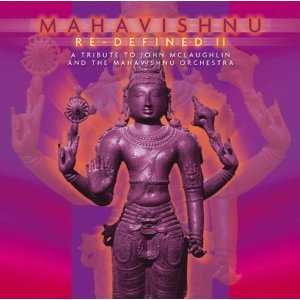 Congratulations to guitarist Bon Lozaga on the release of ESC Records' Mahavishnu Re-Defined II album. 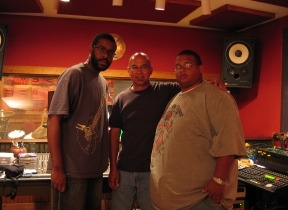 Lozaga's version of the song "Can't Stand The Funk," which appears on the album, was recorded and mixed by Chris at Old House Studio and features features bassist "Tee" Goodwyn and drummer Donnie Futrell. (The album also features Steve Vai, David Torn, Gary Husband, Kai Eckhardt, Michael Manring, and many others.) Lozaga's career includes work with an impressive list of music legends: Gong, Mike Oldfield, Alan Holdsworth, Gary Husband, and his current band, Gongzilla. Chris recorded the last Gonzilla album, Five Even, and is currently working on a solo album with Bon, as well. 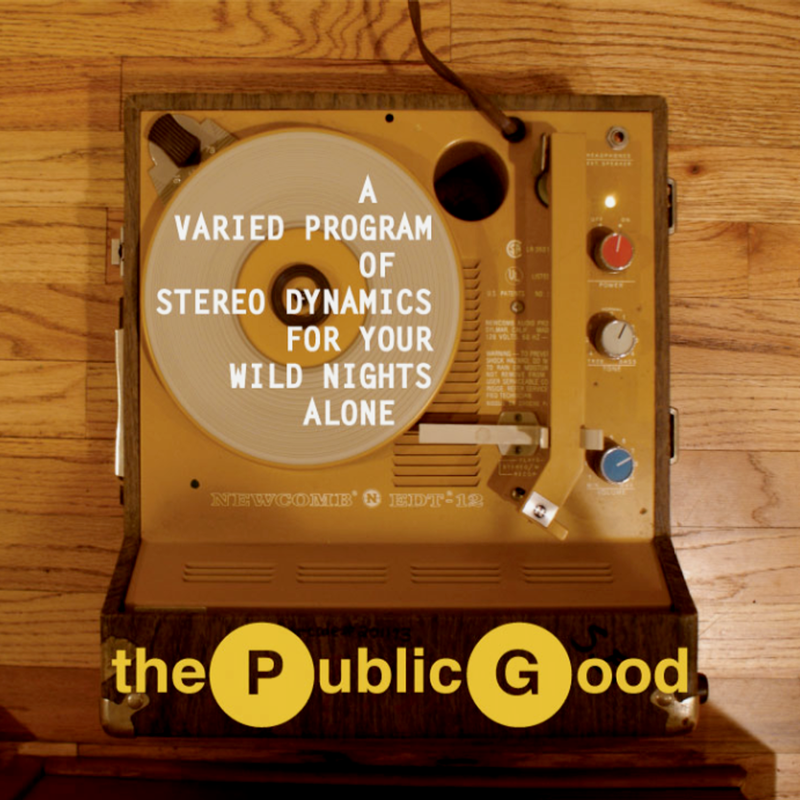 Congratulations to Washington, DC-area rock band The Public Good on the release of their second album, A Varied Program Of Stereo Dynamics For Your Wild Nights Alone on Lost Lyrics records. The band features guitarist/vocalist John Elderkin, bassist/vocalist Steve Ruppenthal, multi-instrumentalist Sam Esquith, and Chris on drums. Elderkin and Ruppenthal have provided some of the East Coast's best pop-rock for two decades, dating back to Chapel Hill band The Popes in the late eighties and early nineties, as well as NC's Stumble and Atlanta's The Lovely Lads. It's very exciting for Chris to be a part of this ensemble, as he's been a rabid fan since 1989. The follow-up to 2009's No. 1 album was recorded at Old House Studio in Gastonia, NC at Fidelitorium Recording in Kernersville, NC, Double Decker Bus in Chapel Hill, NC, and at The Bastille and Inner Ear Studio in Arlington, VA. The album was mastered by Scott Craggs at Old Colony Mastering in Boston, MA and is available for download on i-Tunes, CD Baby, Amazon. Hard copies are available on CD through Amazon as well. Chris also recorded and mixed Charlotte area psycho-billy legends The Belmont Playboys' latest album, Complicated Life, played drums on the latest album by rock singer/songwriter Shalini Chatterjee newest EP, Magnetic North, recorded and mixed singer/songwriter Bill Noonan's latest release, The Man That I Can't Be, recorded and mixed the latest self-titled album by Charlotte-area blues outfit Nita B & The Swingin'Soiree, recorded and mixed several songs on Overmountain Men's Glorious Day album, and recorded the latest album for internationally-reknowned progressive rock band Gongzilla (which featured members of legendary British fusion group Gong), Five Even, on Lolo Records. 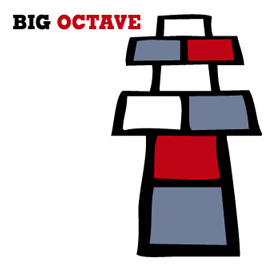 The self-titled album from Chris' jazz trio, Big Octave, is currently available on LoNote Records and features saxophonist John Alexander, bassist Ron Brendle, and Chris on drums. You can listen to audio clips and order the CD online at CD Baby. Be sure to look for a reviews of the CD in Jazz Improv magazine (Vol.6, No. 1), Charlotte Magazine (Vol. 10, No. 12), and Cadence magazine.